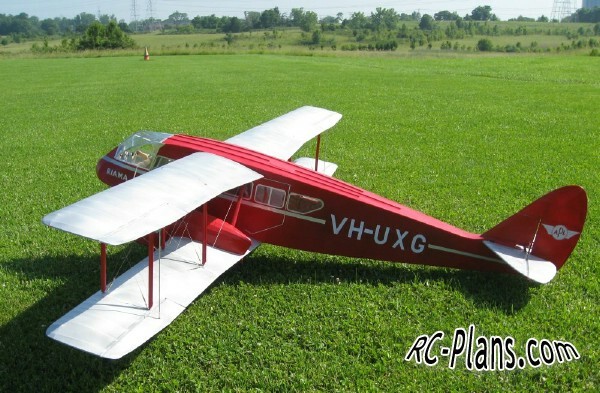 On this page you can download the design & construction article and the plans for this unique radio control flying model, the DH-84 Dragon. The outer wing panels (28" each) come off without any fuss by removing 4 connection pins per side. There is no hard attachment for the aileron controls (done with a push-push system of pin-in-socket), and the wing wires are permanent and do not need adjustment or re-attachment. This makes for a very easy set-up and take-down, only a few minutes total. The wing wires are functional and very much part of the structure, just like the real aircraft. 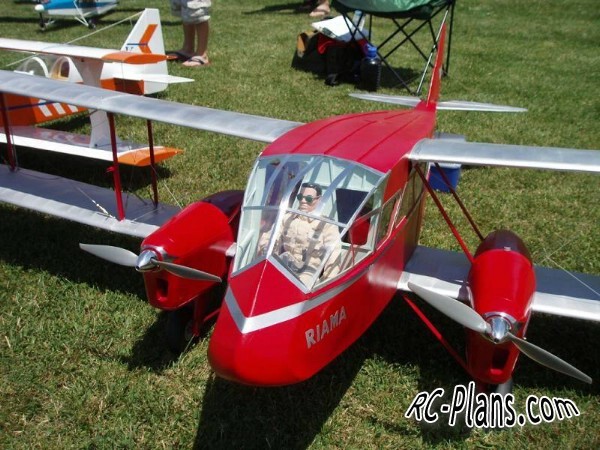 Indeed, much of the model structure is very similar to the actual aircraft in both configuration and function.